THE PURISTS PETITE MARRAKESH COLLECTION Just the name of this city stirs passions and energy in the soul. 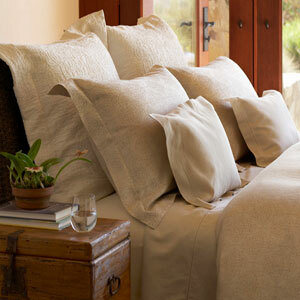 The glorious detailing of Moroccan artisans is brought to life in luxurious linen and silky cotton. This rich fabric is silky to the touch and drapes you in all the majestic splendor that has made Morocco famous. True Luxury. Included in the Marrakesh Collection are Petite Marrakesh, Gobi, Marrakesh Covers, Gobi Boutis co-ordinating with Far East. Woven In Italy. 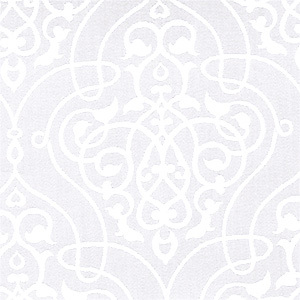 Marrakesh is a Jacquard weave of 55% linen and 45% cotton. Bedskirts are gathered.